The Outlawz Wednesday Sketch Challenge is up and running. The sponsor for this month has been My Little Whimsical World. Since I didn't have many of their stamps, I have been using other designer's stamps. For this card, I used Deedee's Digis precolored dog from Fall Bull Dog. I used Stampin' Up cardstock for the base and Recollections for the other cardstock. I embossed the large square background with a Die'Sire embossing folder. I used Tea Dye Distress Ink over the embossed piece. The image is the pre-colored bulldog from Deedee's Images. Ribbon is from Really Reasonable Ribbon. The die cuts are from Basic Grey and Bo Bunny fall sets. I put Crackle Accents over the die cuts. It is similar to Glossy accents, but instead of just making a glossy finish, it does a crackle finish. It's hard to see on the large picture, so I added just the smaller picture of the leaf t show it. I just got the newest holiday collection for the Minc from HSN. I thought I would try it right away. I used the green foil on the background and gold glitter on the image and sentiment. It depends on which way you hold the card as to how the green shows up. If you hold it looking straight on, the green is barely visible. But if you hold it at an angle, the green on the background shows up. Yet another way, it looks like the white on the background is green. Wheee, I got a new toy to play with my scraping. It's called Ken Oliver's Color Burst. It's a pigment ink powder that you use with watercolor paper and water. I have been playing with it for a couple hours and made this card using it. The background is made using Burnt Orange. Once the background was dry, I embossed it with Die'sire Lattice embossing folder (also new) and mounted it on a 5 1/2 inch square card base I made using a piece of Recollections Kraft cardstock. I added the big bow because I got that corner a little darker than I wanted it to be. The ribbons were in my stash and I have no idea where they came from. The image is from Deedee's Digis Harvest Hellos and was cut with my Silhouette Cameo. 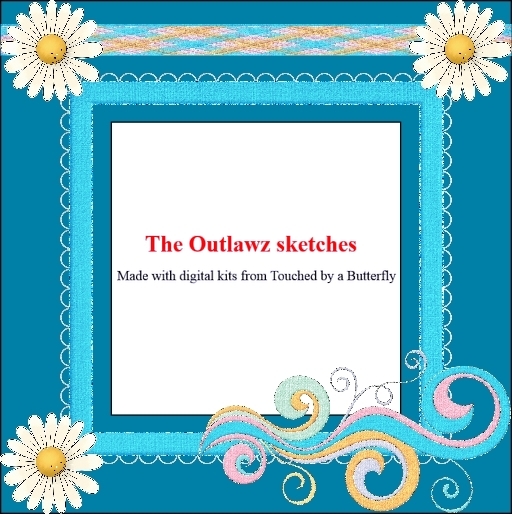 I added some Stickles and Wink of Stella glitter pen to the image to make it sparkle. The sentiment is from Impression Obsession. 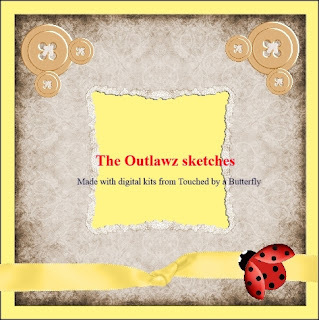 The new Wednesday Sketch Challenge is up and running. Why not join in with your own creation. The sponsor for this month is My Whimsical Little World. I don't have any of their images, so I used Penny Black Hedgie Friends. The cardstock is Stampin' Up and the dp is Recollections. Bling is from Want2Scrap. Butterflies are cut with a Martha Stewart die The other dies are cut with my Cameo. Love the images from Deedee's Digis for the Progressive challenge for August. Since it is getting close to fall, I decided to use the precolored autumn looking basket for my card. I used my Silhouette Cameo to cut the digi and the oval backgrounds. Hi Peeps. Hope you are having a terrific day. It's new challenge time at Tuesday Throwdown. The theme for this week is Your Favorite Occasion. I chose birthday as my favorite. The image I am using is Pippin Birthday from our sponsor, Digital Delights. Well, today is a red letter day for me. As this post goes live, I am in the hospital having further surgery on my knee to clean out some scar tissue from the original surgery a year and a half ago. I did this post a week ago and scheduled it for today. 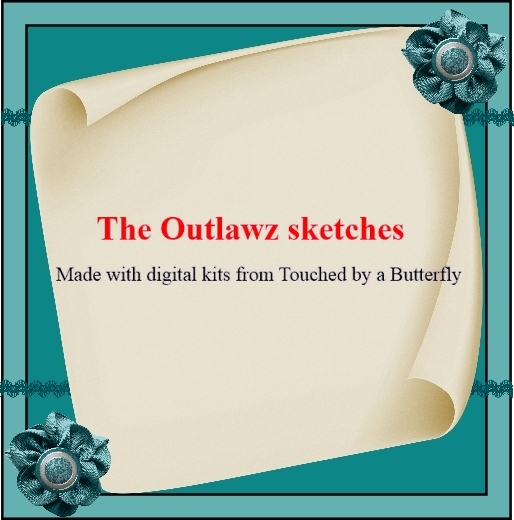 The Wednesday sketch challenge at The Outlawz is up and running. Our sponsor for this month is Paola's Papers, The image I used is called "Bed of Autumn Leaves." It was a fun image to color. Loved working with this little girl with the big hair. The image is from Make It Crafty. Morning Peeps. Hope this finds you cool enough for the hot summer days we have been having. 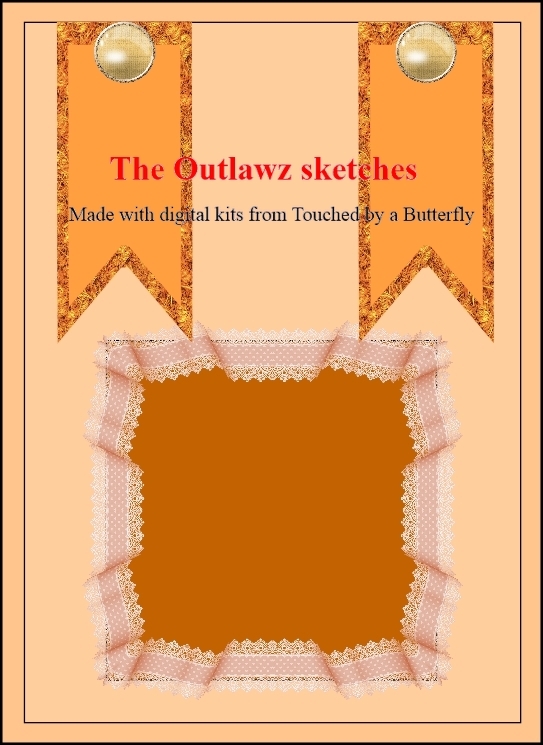 It's the first of the month and time for another patterned paper challenge at CraftyHazelnut's Patterned Paper Challenge. It was so nice seeing all the entries for last month. It couldn't be an easier challenge. Always Anything Goes and the only requirement is to use patterned paper, a little or a lot. Here is my card for this month. I used a acrylic stamp rather than a digi this time. It's "Rose" from Technique Tuesday. I colored it with Copics. The patterned paper is from Carta Bella Yesterday 6x6 pad. The roses on the paper worked out well for the rose image. The black cardstock is from Recollection as is the bling strip. Try as I might, I couldn't get the rose image to photograph in the pink color rather than the lavender that it insisted on. I tried different camera settings, lighting, etc. and it still shows lavender. It is really a old rose color, And of course, the bling has a lot of reflection. Someday . . .